Jaz Sawyer (with one “Z”) began playing drums at age of 2 in the Haight Ashbury district of San Francisco, California. His musical studies has taken him through the music programs at the Ruth Asawa School of the Arts, San Francisco Conservatory of Music, Stanford Jazz Workshop and The New School for Jazz and Contemporary Music. Jaz possesses an eclectic and refined personal style of drumming that stems from his deep roots in his Classical, Jazz, West-African and Afro-Caribbean musical training. 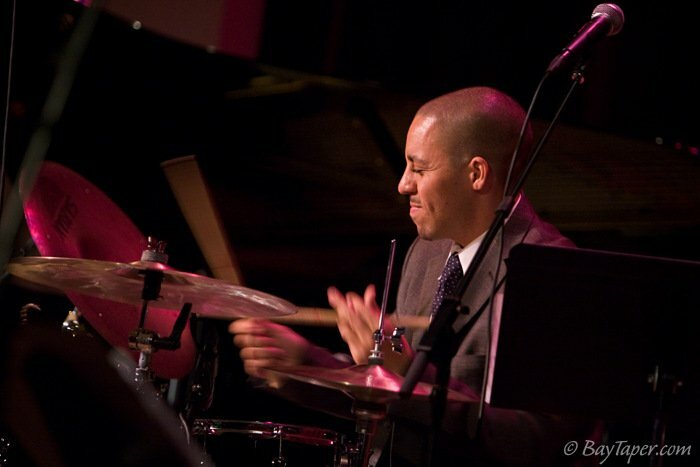 Jaz has worked with many notable artists, including Wynton Marsalis, Abbey Lincoln, George Benson, Bobby Hutcherson, Jacky Terrasson and Dee Dee Bridgewater in some of the world’s premier concert venues, including The Blue Note, The Village Vanguard, Carnegie Hall, Lincoln Center, Kennedy Center and the Sydney Opera House.